Featuring cute baby safari animals (lion, turtle, toucan, elephant, hippopotamus, monkey and giraffe. In green, blue, teal, beige & brown shades. 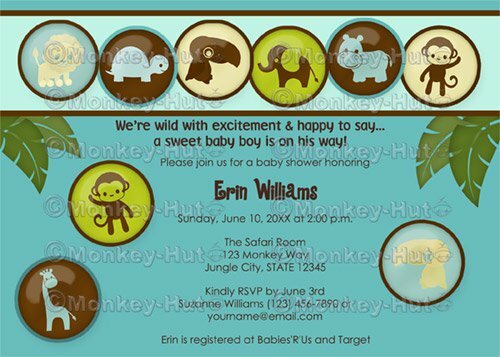 Coordinates with any safari or jungle baby nursery theme.